decoration, it is impossible to provide a standard price. The chart below will give you approximate portions for each cake. A 7in Victoria sponge filled with vanilla buttercream and jam, and covered in white icing. The cake can be decorated with polka dots, hearts or stars, and it also comes with a ribbon and inscription. 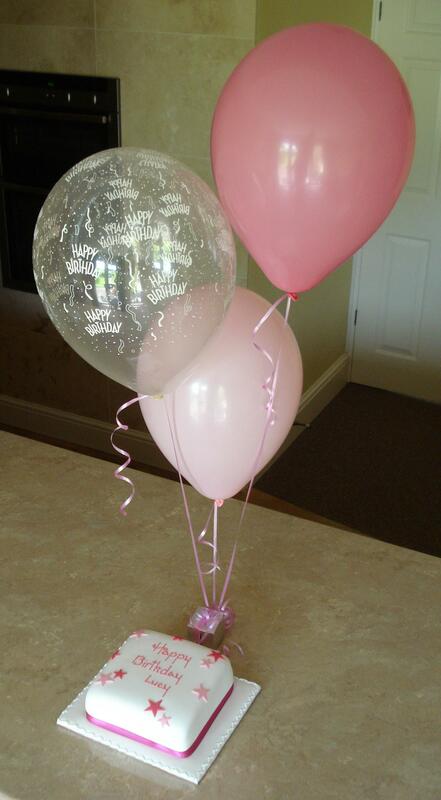 A pair of three-balloon table decorations, helium filled, with ribbons and weights, and available in a choice of colours. 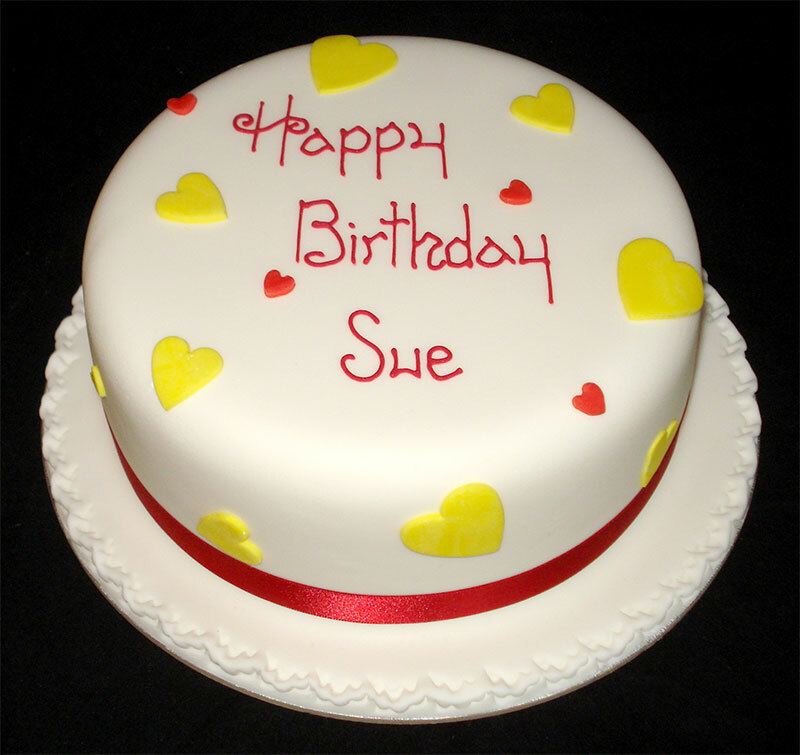 An 8in Victoria sponge, filled with buttercream and jam, covered in white icing, decorated with stars, hearts or polka dots, and with a ribbon and inscription. A set of four three-balloon table decorations, helium filled, with ribbons and weights, and available in a choice of colours. Orders can be placed by email or telephone. A 50 per cent deposit is required at the time of booking and the remaining balance is due upon collection. Payment can be made by cash, cheque, Bacs or PayPal. An order is only secured once a deposit has been paid. Prices to do not include delivery but this can be arranged. Please email for prices. To place an order, email me, or call 01606 48199 or 07774 841500.